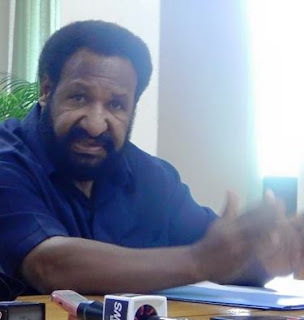 OPPOSITION Leader Don Polye says the judiciary has its own problems and challenges which it could learn to overcome from neighbouring countries. Mr Polye said challenges such as having to deal with a backlog of court cases and maintaining the independence of judiciary amid threats of political interference is most common in the Papua New Guinea judicial system. "PNG’s judiciary must now learn from both Australia and New Zealand and even smaller island states to deal with these challenges confronting our judiciary system." Mr Polye said this yesterday when welcoming chief justices and judges from the Pacific to PNG for their Pacific Judiciary Conference. "As much as smaller island countries want to learn from PNG, we must also pay close attention to learn from them as there may be lessons and inputs which may help improve PNG’s judiciary system. "The country’s judiciary system is most probably the only avenue left for our citizens to seek justice and it must be defended and protected at all times. The same cannot be said for many of our constitutional offices as they have been compromised. "The recent being the error by the Public Prosecutor requesting the Ombudsman Commission for evidence against the Prime Minister."